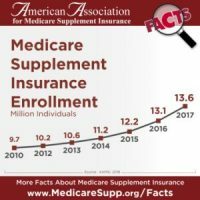 The number of Americans with Medicare Supplement insurance continues to increase with 13.6 million having this form of coverage in 2017 according to the American Association for Medicare Supplement Insurance. The Association released the data in advance of the upcoming national industry conference taking place next month in St. Louis. “Hundreds of industry leaders will gather to focus on the future of the Medigap industry,” Slome shares. Medicare Supplement insurance is also commonly referred to as Medigap, the expert explains. The number of policies in place has grown steadily from 9.7 million in 2010 to the current level. The number of policies in 2017 grew by 500,000 from the prior year. 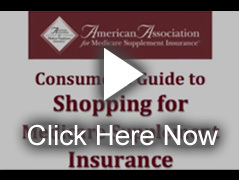 The American Association for Medicare Supplement Insurance organizes the national industry conference and maintains an online listing of local Medicare insurance agents utilized by consumers seeking information and planning options. To access more facts about Medigap policies, visit the organization’s website page containing the latest facts and data. Access it at www.medicaresupp.org/facts.